If you think Shabbies only sells ankle boots surely you've never seen our collection of edgy summer sandals. 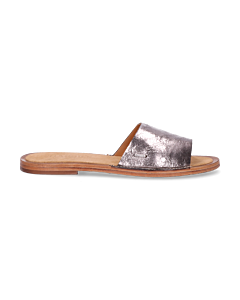 These Shabbies ladies' sandals are made with the best leather types, and a great deal of attention is paid to comfort, like with the other footwear in our collection. This summer, Shabbies once again offers a broad collection, including platform sandals and gladiator sandals. 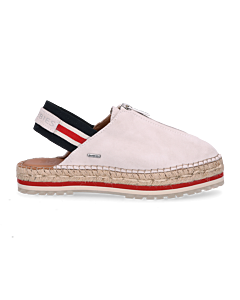 The leather slip-ons come in various trendy colours, making them perfect for matching with any outfit. Our leather sandals can also be bought online safe and easy. You can defer payment with Achteraf Betalen - only available within the Netherlands - and any shoe or bag order from 50 Euro is delivered free of shipping costs. Try them on in the comfort of your own home and if you don't like them after all, return them for free. Any doubts about the size? Check our size chart or contact our customer service department.